NoVA Ice Dogs 12U Red had an incredible 2018-2019 season as Capital Corridor Hockey League (CCHL) Southern Conference Peewee Champions, 2019 Joe Loschiavo Memorial Cup Peewee Division I Finalists and York Rec/In House Tournament Peewee Champions. The team welcomed three first year hockey players(1), a Squirt-aged player(2) and a first year Peewee(3) to a core of nine second year Peewees(4), who had played together over the prior two to four seasons. The team developed two eager rookie goalies(5) who alternated games over the course of the season. During its run through the CCHL regular season, NoVA Ice Dogs 12U Red posted an undefeated 11-0-1 record with 85 GF and 27 GA. In the CCHL tournament held in Frederick, MD, NoVA Ice Dogs 12U Red played each of the top three teams of the CCHL Northern Conference. Overall, they made it to the finals and went 2-2-1, splitting with each of the two Navy teams and tying the league’s most potent offense, Tri City Orange, at 2-2. Up in York, PA, NoVA Ice Dogs 12U Red overcame many challenges including playing its first game with just two bench players, trailing in four of five games, and playing a 3-on-3 for a three minute overtime thriller in round-robin play. The team went a perfect 5-0 on its way to the championship. 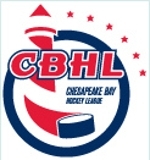 The core group of veteran players has posted an astonishing tally of three consecutive CCHL Southern Conference championships over three undefeated regular seasons, one CCHL Division I championship and one as finalist, and three consecutive York Rec/In-House Tournament championships with a combined record of 56-4-4.